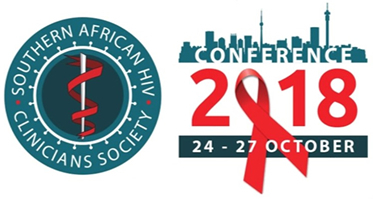 The 2018 Conference Organising Committee would like to invite you to participate as a sponsor of the 4th biennial Southern African HIV Clinicians Society Conference to be held from 24 – 27 October 2018 at Gallagher Convention Centre, Johannesburg, South Africa. The Conference focuses on clinical content and is aimed at infectious diseases physicians, NIMART-trained (or interested) nurses, general practitioners, HIV specialists, academics and other health care professionals. 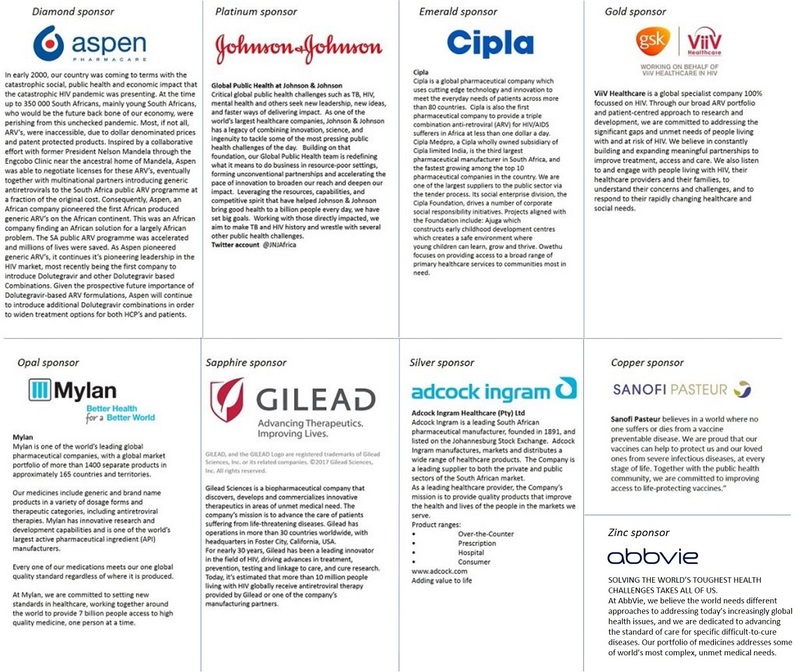 As detailed in the Trade Prospectus, we have a number of sponsorship opportunities available for your selection. Key components of the packages are the active marketing and branding opportunities for both your Company and the products you promote. We value all of your contributions and participation to ensure another successful conference in 2018!